Liverpool and Ajax both enjoyed emphatic wins in this weeks round of NextGen Series fixtures. 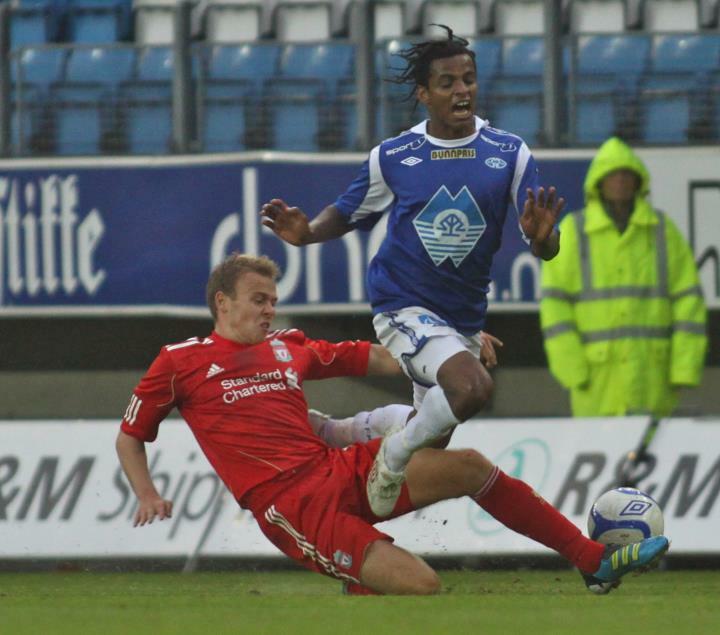 Liverpool played away from home but managed to blast four goals past Molde FK of Norway without any reply. Ajax meanwhile had a home tie against Turkish side Fenerbahce where they won 5-1. Liverpool’s performance was inspiring and promising for the future of the club. Sivert Beinset in the Molde goal was on brilliant form to deny an onslaught of chances from the Liverpool attack. Beinset was unable to stop Toni Silva in the 26th minute though where he headed home a Raheem Sterling cross to give Liverpool the lead. Toni Silva added a second for the Merseyside club after a neat one-two with Suso ended up in Silva beating the goalkeeper in an one-on-one situation. After the break Conor Coady, the Liverpool captain, sunk a penalty into the net to really end any hope Molde had of coming back into the game. Raheem Sterling had troubled the Molde defence all night and eventually got his reward when he netted the final Liverpool goal in the 82nd minute and send Liverpool home second in the group behind Sporting. Ajax were in similar spirits after their thrashing of Fenerbahce to put them clear leaders in Group 3. Youssef Fennich opened the scoring for Ajax and grabbed two within two minutes just before the half hour mark. Viktor Fischer then made it three for Ajax just after half time and just after Fenerbahce were given hope thanks to a Beykan Simsek goal. Ajax captain Davy Klaasen soon gave Ajax a firm grip on the game as he made it four for the Dutch side. The final goal from Lesley De Sa rounded off a truly memorable performance from Ajax as they undoubtedly look to qualify for the next round of the competition, even at this early stage. Raheem Sterling, Toni Silva & Viktor Fischer, the stars of yesterday and maybe, one’s to watch in the future. All played very well. Great display!